Anytime an entrepreneur is willing to accept small tranches of capital (i.e. $1,000), it screams trouble for both the investor and the entrepreneur. Finally, you add the 'on-line anonymity' aspect, you are begging for problems. The management team of Grace Century FZ LLC, an international research and private equity company based north of Dubai in the United Arab Emirates, has taken a stand on The U.S. Securities and Exchange Commission's (SEC) recent changes to securities regulation--one of the biggest changes in nearly 80 years. Signed into law by President Obama on April 5, 2012, the SEC was given approximately 270 days to set forth specific rules and guidelines that enact this legislation, while also encompassing the protection of investors. 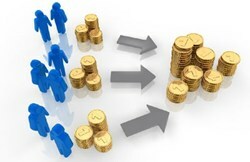 Now, as of July 10, 2013, private companies and entrepreneurs in the United States that need to raise capital can market their company's investment opportunity publicly to "accredited investors" (individuals with over $1M in liquid net worth or incomes over $200,000/year) via social media, print materials, email and other means. When the regulations become part of the federal register within the next 4 to 8 weeks, companies will be permitted to raise money publicly from accredited investors. Widely used in the UK, crowdfunding (in theory) levels the playing field by giving the smaller investor a chance to get into ground floor opportunities early in a new firm’s life. Scott Wolf and the Grace Century management team suggests that when entrepreneurs need to fundraise for their businesses they should learn the details of the new regulations and work with their legal advisors to determine how and when they should move forward with raising capital under the new 506c regulations. “Yes, the use of crowdfunding can open up new ways to attract Diaspora investments as well as reduce the gridlock in early-stage investment ecosystems, but crowdfunding opportunities can also open the door for scam artists and fraudsters,” said Wolf. Wolf and the Grace Century team believes that, (while in theory) it makes sense to provide badly needed funding to fledging start-ups, crowdfunding opens the door to (at worst) opportunists and con men as well as (at best) poor oversight and accountability. To that end the SEC will be watching very closely. “The road of good intentions, often, has a lot of potholes,” Wolf concludes.